Johnny Catch by Höfats is a simple but beautiful and functionally perfect bottle opener with cup to mount on the wall without screws and dowels, but with a high-quality tape of M3. The bottle cap was invented at the end of the 19th century and the opener on the wall exists nearly as long, because it is simply convenient. Yet hardly anyone succeeded in designing a handy and at the same time beautiful opener. Johnny Catch Cup made of 100% stainless steel with a collecting cup made of plastic is functional and stylish at the same time. After opening the bottle, the caps just fall in the cup. Johnny Catch is a must-have for the style-conscious beer drinkers, lemonade lovers, in the clubhouse, music or sports club, in the trailer, at the favourite bar, in the summer house, kitchen, workshop, on the roof terrace, next to the fridge and of course in addition to the Cone and sphere barbecues by Höfats. 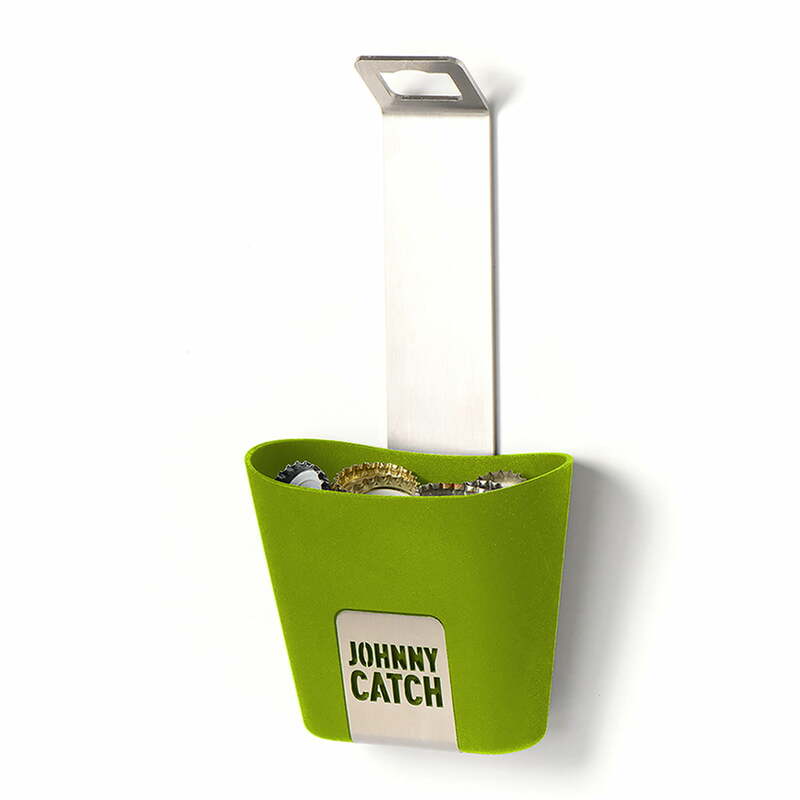 The Johnny Catch Cup collects up to 60 bottle caps. 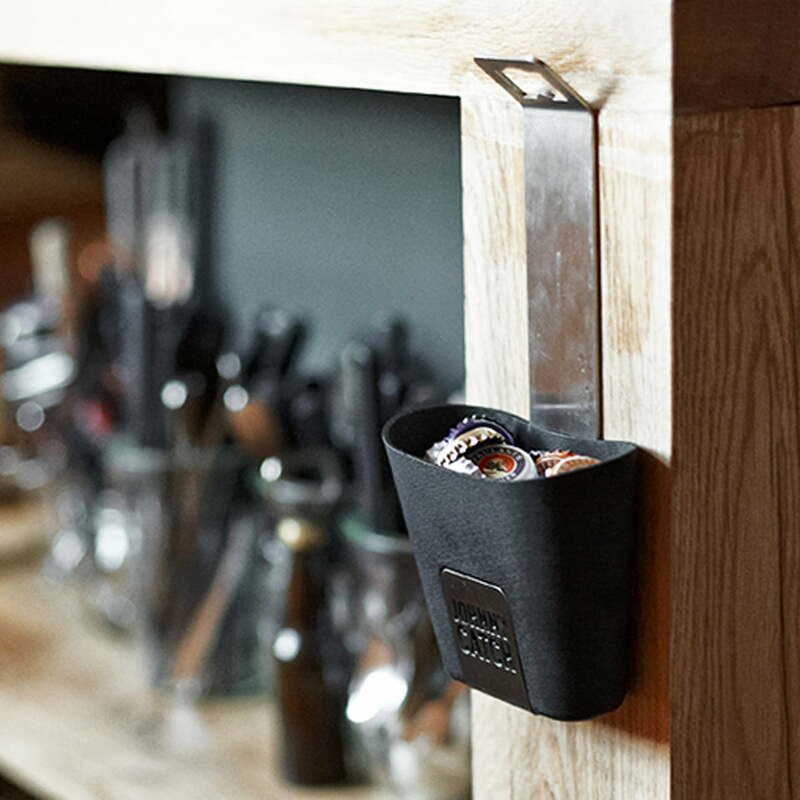 The Catch Cup which, together with the opener, is manufactured in Germany, is available in different colours. 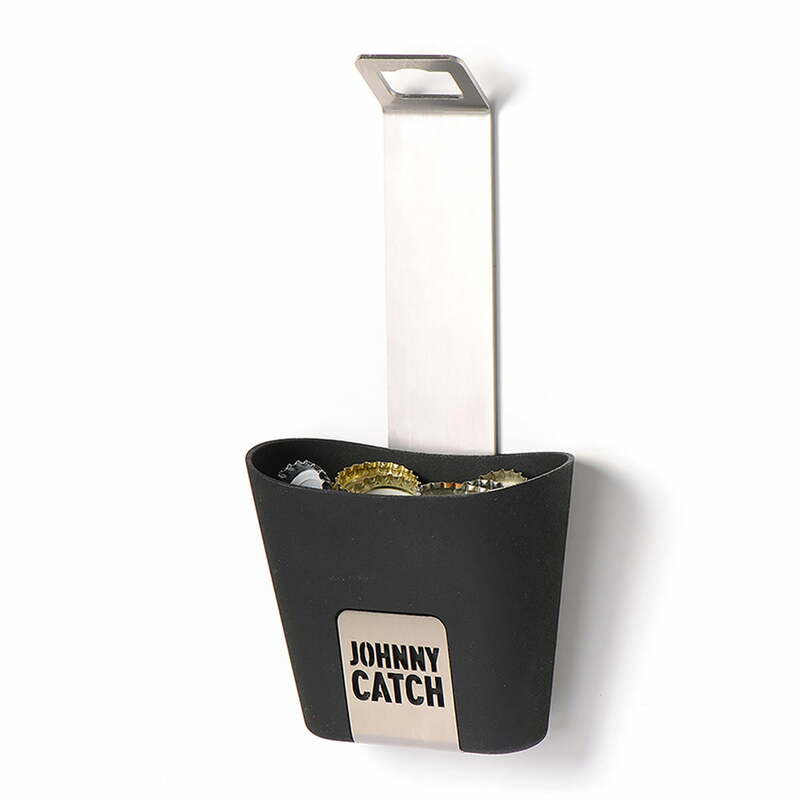 Individual image of the Johnny Catch Cup Bottle Opener by Höfats in black. The opener consists of 100% stainless steel and the collecting cup is made of plastic. 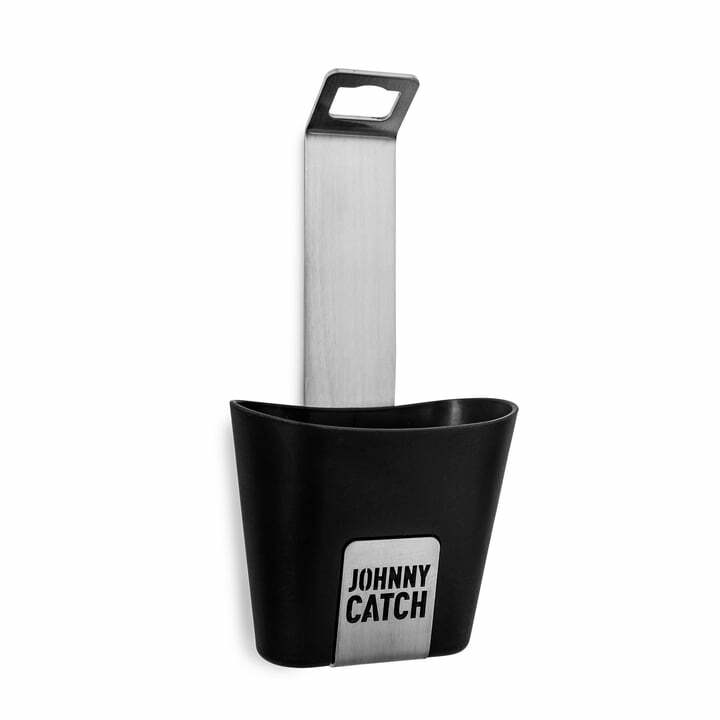 Individual image of the packaging of the Johnny Catch Cup Bottle Opener by Höfats. 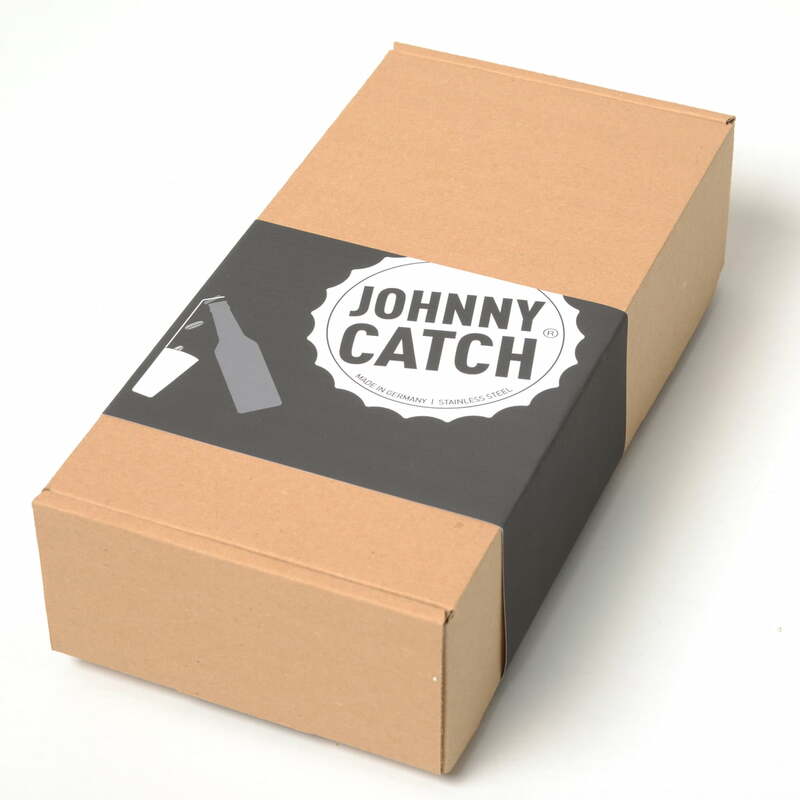 Johnny Catch comes in a beautiful box and is suitable to give as a gift. The bottle cap was invented at the end of the 19th century and the opener on the wall exists nearly as long, because it is simply convenient. Yet hardly anyone succeeded in designing a handy and at the same time beautiful opener. Johnny Catch Cup made of 100% stainless steel with a collecting cup made of plastic is functional and stylish at the same time. After opening the bottle, the caps just fall in the cup. 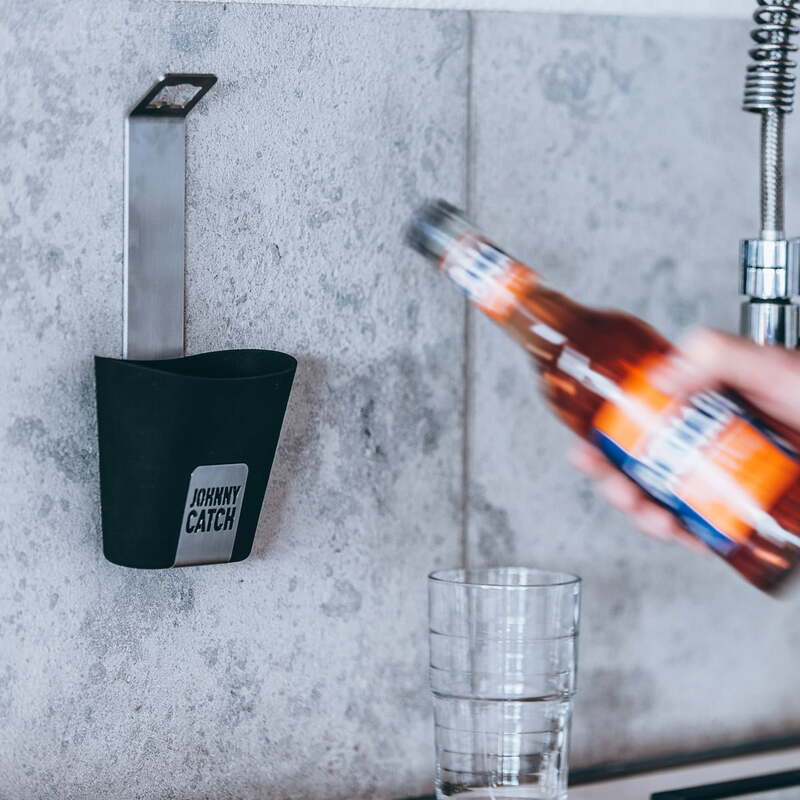 Johnny Catch Cup by Höfats is a must for the style-conscious beer drinkers, lemonade lovers, in the clubhouse, sports clus, trailer and at the favourite bar. 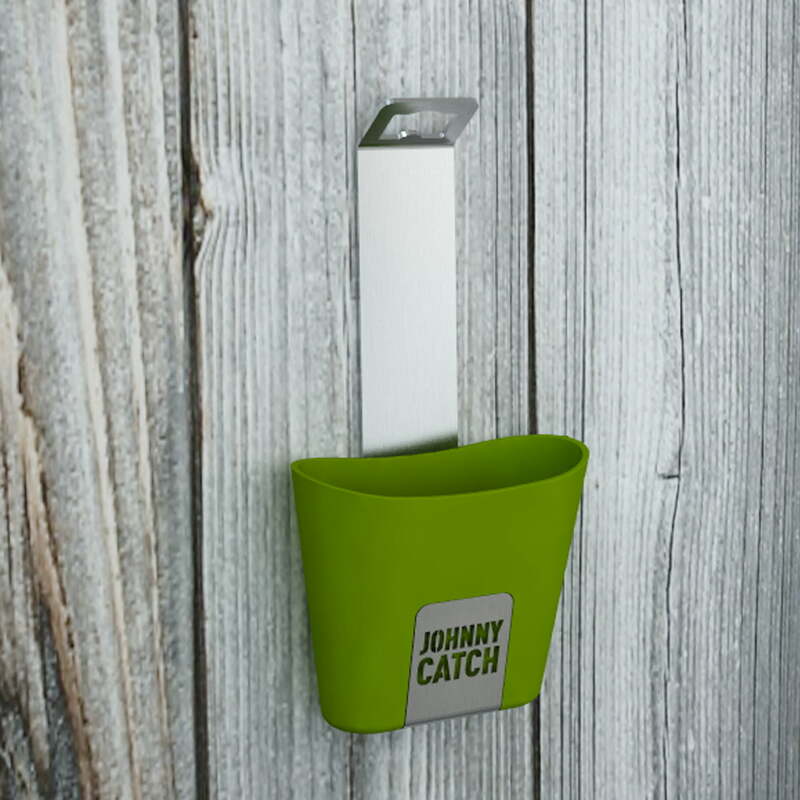 Johnny Catch Cup is a must have in the summer house, kitchen, workshop, on the roof terrace, next to the fridge and of course in addition to Cone and sphere grills by Höfats.